The Atari Jaguar has always been an object of aspiration for me, probably due to being a massively impressionable teenager when it first came on the scene. Later in life I almost spent a stupid amount of money sourcing one from eBay during my days of running up student debt, but like my ill-advised attempt at Vectrex ownership I was finally beaten by someone with stronger nerves and a bigger bank balance. 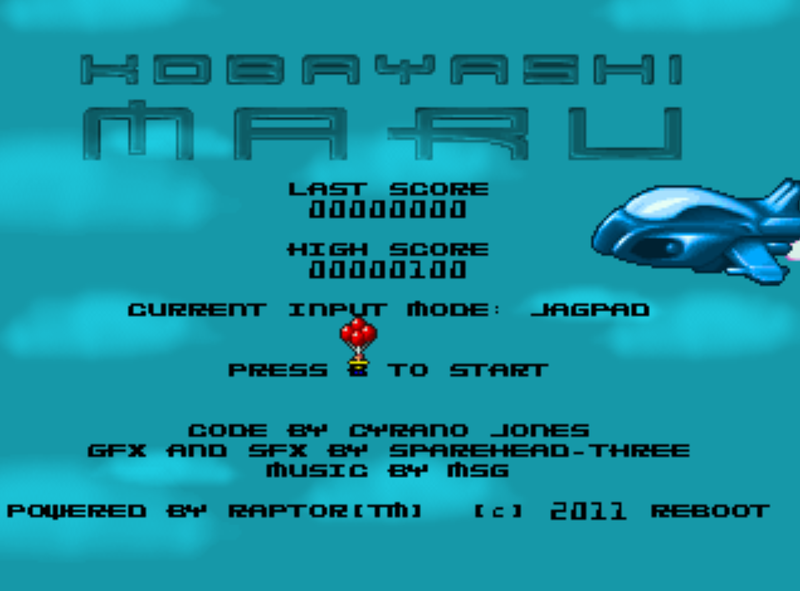 Strange then, that I have never actually installed a Jaguar emulator until I publicly called dibs on reviewing Reboot's rotary Jaguar shooter Kobayashi Maru. 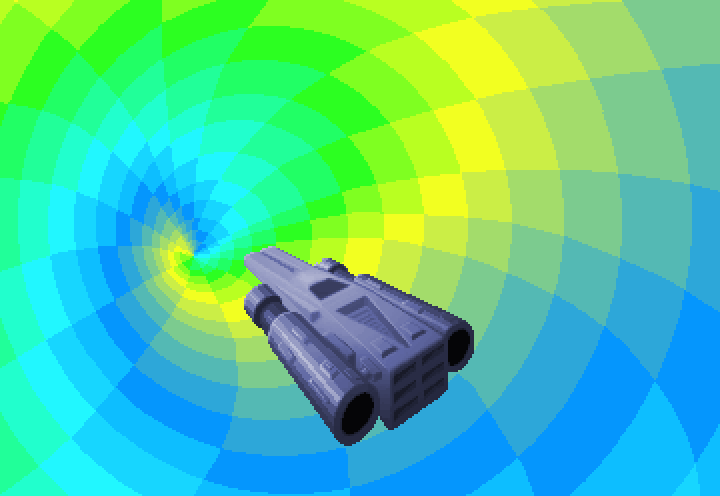 Straight out of the box Kobayashi Maru shows itself off as a seamlessly built, smoothly playable shooter which takes a fair few tricks from the playbook of arcade classic Time Pilot. There's something very Atari about rotary games to me, probably in no small amount due to the Atari 2600's Combat, which still stands tall as a brilliant game, and Kobayashi Maru has some big shoes to fill. Happily enough the dedicated Atarians at Reboot have produced a cracking game with brilliantly paced gameplay, backed up with suitably arcadey visuals. Kobayashi Maru (which thankfully doesn't have a similar difficulty level to the Kobayashi Maru scenario of Star Trek lore) is a top notch top-down shooter. Making use of an early build of the Raptor engine the team are working on, the game sees the player's fuji-shaped spaceship zipping between trickily designed waves of enemies, rescuing (or accidentally shooting down) innocents flying with balloons, and facing off with quirky, well designed bosses. The background clouds float about convincingly, adding to the general feeling of being in a swirling, high altitude dogfight. 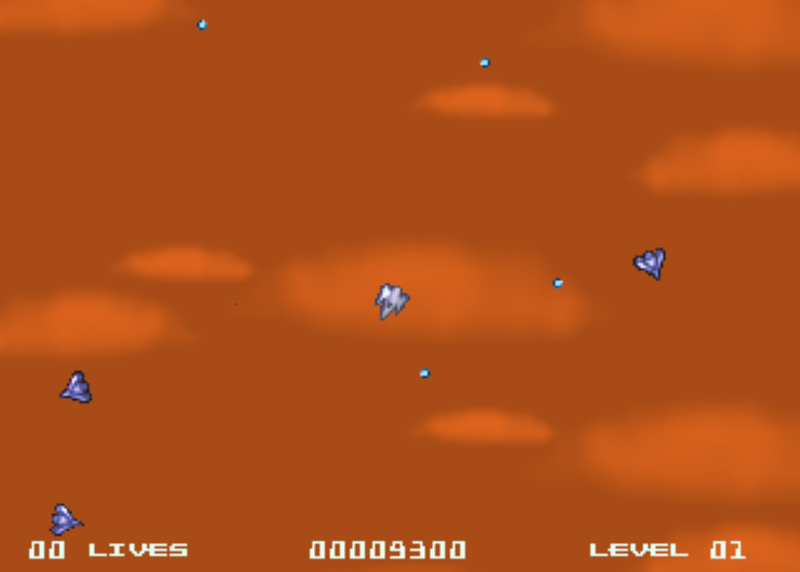 The visuals are the right side of cartoony with some nice graphical flourishes, like the player's death animation which sees their space fighter swell upwards towards the player's viewpoint, getting blockier as it does so in a mode 7 fashion. Gameplay is paced well, with levels short enough to make getting back to that last bit where you Game Overed not a chore. A particularly deft touch is the fact that the ballooners, who can be picked up for bonus points, when shot fall from the sky but can still be rescued. This means hitting them accidently all the more heart rending because there's still a chance to - oh, too late. It also allows for the ability to blast them from the sky so they can free-fall to the player's craft, allowing speedier acquisition of bonus points- shooting civilians and efficient time management have never been such a happy couple! I've been happily thrashing around the aerial arenas of Kobayashi Maru for more than a week now, with no sign of losing interest. I've no idea where Reboot plan to take the Raptor engine, but with their level of craftsmanship and grasp of quality gameplay I can safely predict more quality products following on from this lovely little shooter. Download the game here (from the Reboot website). Run it using Virtual Jaguar (freeware). I was going to type a detailed review of Kobayashi Maru myself but Ruari beat me to it. Thankfully, my offer of writing this second opinion has been made extremely easy as I pretty much agree with Ruari's review - but I'd like to add that if this comes out on a cartridge I will most certainly buy a Jaguar to play it on. I'm a total sucker for Time Pilot, and this excellent tribute to the seminal coin-op is without a doubt Reboot's best game to date. 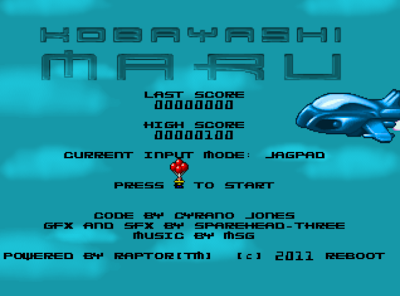 Simple, well executed and incredibly fun, Kobayashi Maru is a Jaguar homebrew classic. Thanks for that guys, made my day! PS - play it with a rotary controller and its much more fun!